The anniversary of Debussy’s death in 1918 has not gone unnoticed by the record companies, who have issued distinctive new albums of piano music from Daniel Barenboim, Maurizio Pollini and Menahem Pressler (on DG), Stephen Hough and Steven Osborne (Hyperion) as well as exciting examples of younger native artists approaching this music, from pianists such as Élodie Vignon (Cypres), Vincent Larderet (ARS Produktion) and Célimène Daudet (NoMadMusic). However, if there’s one essential purchase for your CD player or wireless system, it’s surely Debussy: The Complete Works. 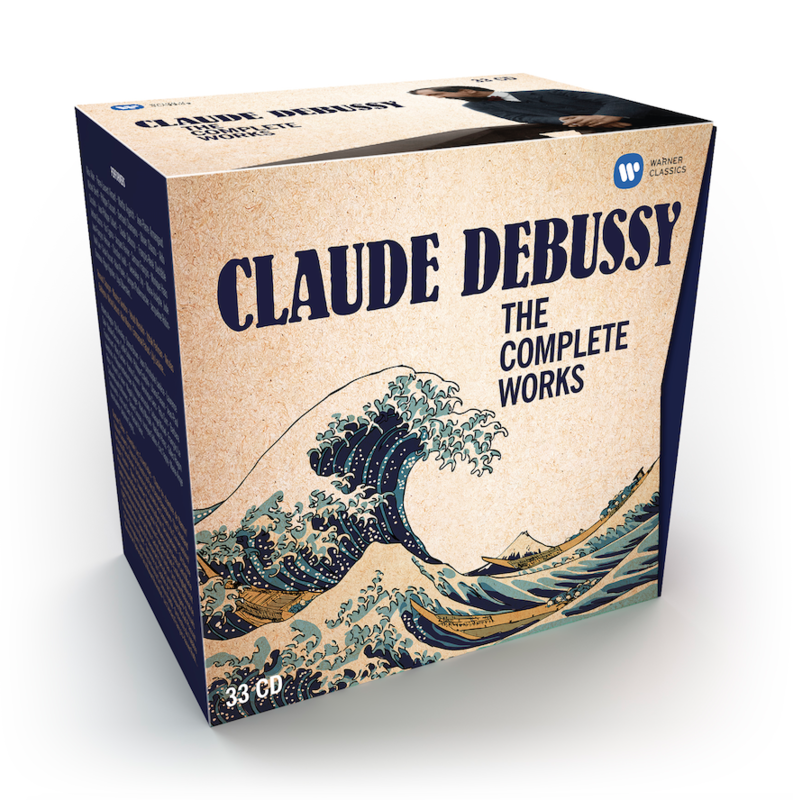 Released by Warner Classics as a 33CD box set (0190295736750) and on download and streaming platforms, this collection stands as the most complete ever made of Debussy’s music on record, comprising his entire known works and including six pieces in world premiere recordings made specially for this edition. The compilation has been made in collaboration with the renowned Debussy expert Denis Herlin, who has made several critical editions of Debussy’s music for the composer’s publishing house, Durand; he also contributes a 40-page essay on the composer’s life and works to the booklet. It will come as little surprise from this French-based label that the piano music is almost exclusively addressed by French artists. At least three generations of pianists are represented, covering the gamut of the French piano school: the unmistakable elan of Samson François from the 1960s, then 70s and 80s studio accounts by Michel Béroff, Aldo Ciccolini, Cecile Ousset and Alain Planès. The set comes up to date with no less stylish, technically impeccable recordings by Pierre-Laurent Aimard (of the Etudes) and Jean-Pierre Armengaud, who has made several new recordings for the box, focusing on the transcriptions produced by Debussy both of his own music and that of composers as unlikely as Schumann and Joachim Raff. The box even includes recordings made by Debussy himself, both for piano rolls and in acoustic sessions of songs with the soprano Mary Garden. The new issue of Pianist, which goes on sale this Friday 30 March, has a real Debussy focus. Articles and Scores galore devoted to the French composer, plus some of the above CDs reviewed. Is it possible to be good at playing the piano if you start practising as an adult?